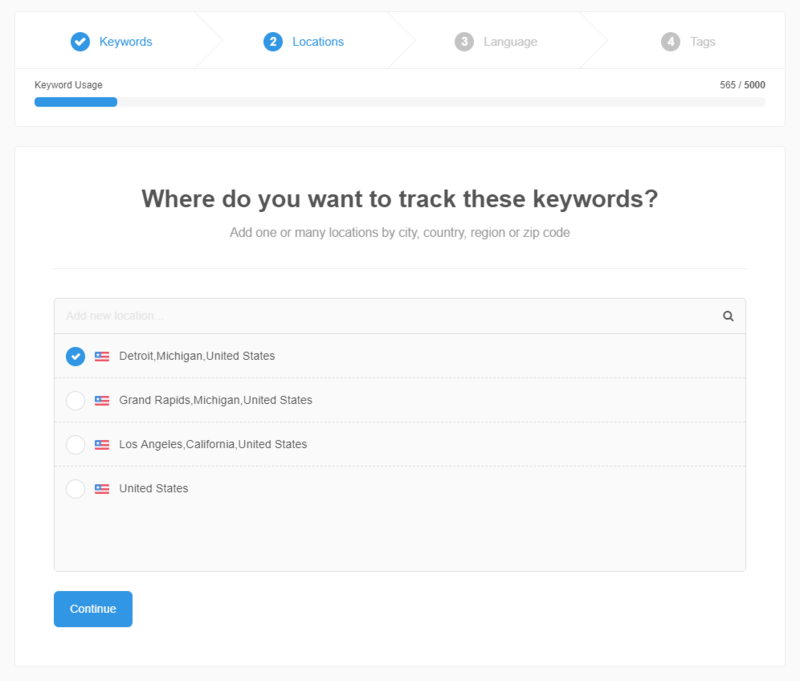 Keywords are now created as "Keyword/Location Pairs". The location(s) for each keyword is/are configured at the time that the keyword is added. 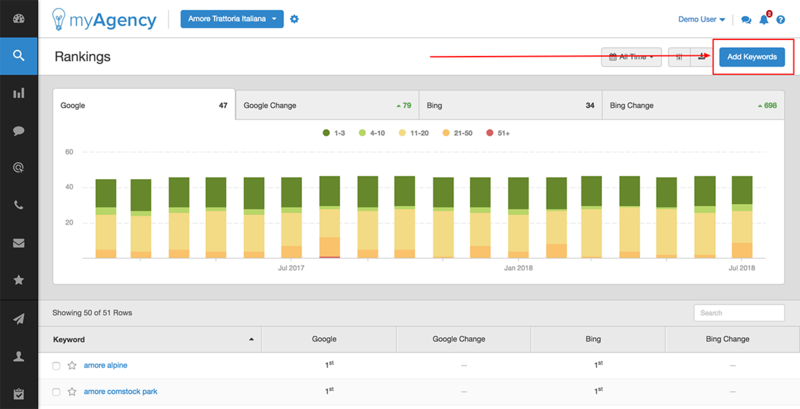 Start in the SEO --> Rankings module of the campaign for which you wish to set the rank tracking location, and click "Add Keywords". The "Add Keywords" wizard will then open. To start, enter your list of keywords, one per line, then click "Continue". 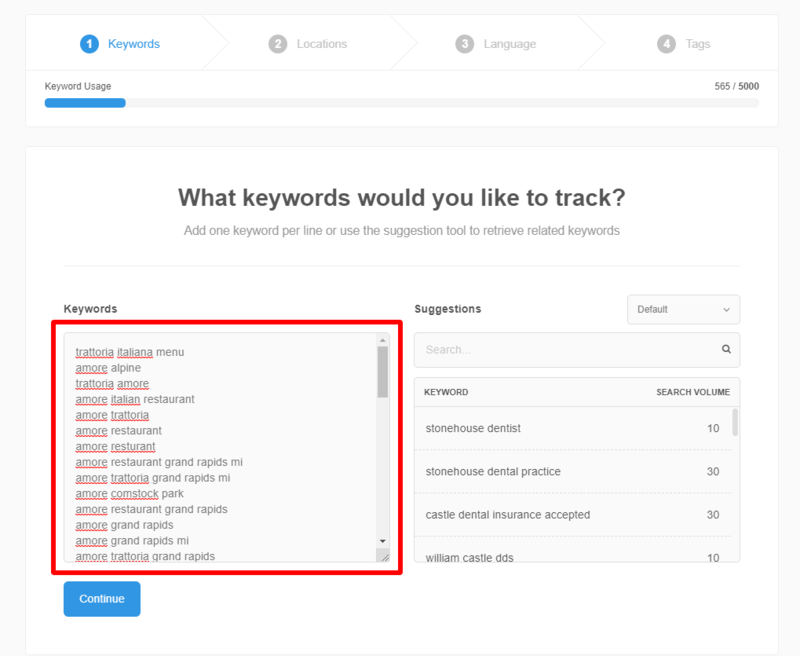 Then, in the "Locations" screen, enter each location for which you'd like to track SERPs for this list of keywords. There is no pre-configured limit to the number of locations that you can track. Locations can be entered at the country, state/province, city/suburb, or ZIP code/Postal code level. When finished entering locations, click "Continue". 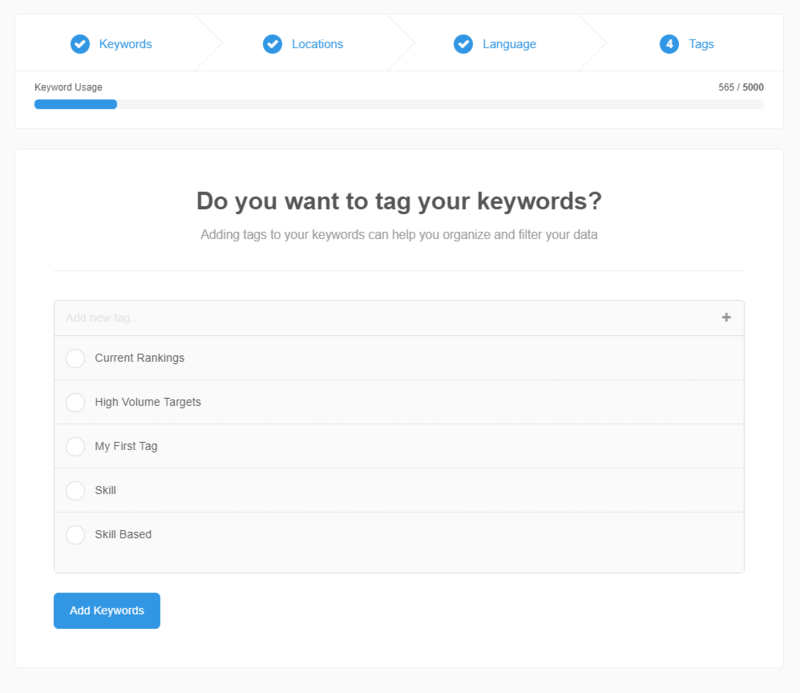 You can then optionally configure languages and tags for this keyword set as well. Read more in this article. When finished configuring your keyword options, click "Add Keywords". Note: We use a specific locations database provided by Google. That database allows us to track named locations down to the city level, but only for locations that are officially incorporated as cities/towns/villages, with their own city-level governmental structure. Neighborhoods, boroughs, and suburbs that are governed as part of a larger metro area are not currently available to use for tracking purposes. If your desired location isn't found by name, please use the ZIP code/Postal code.